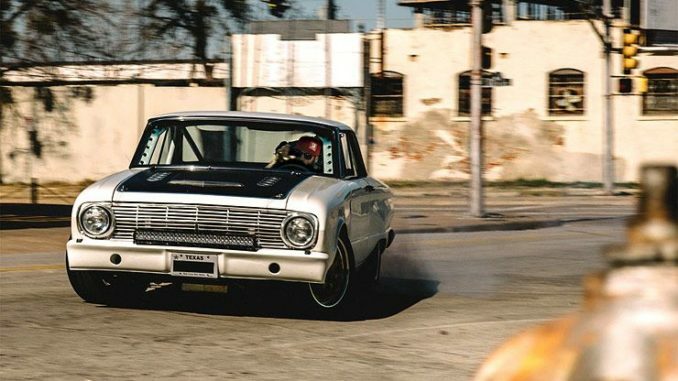 From the front to the back, Aaron Kaufman’s street legal (in Texas, at least) 1963 Ford Falcon was built the right way. 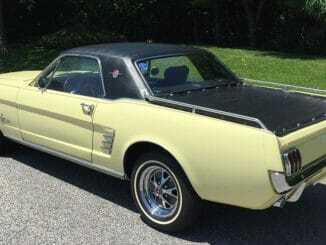 There’s a stout 500hp 363ci small block Ford engine, a Richmond Super T10 four speed manual transmission, a Mark Williams trussed 9″ rear axle. There are RideTech triple adjustable coil over shocks on all four corners and a Chris Alston sway bar is integrated into the system and controlled by its own set of shock absorbers.